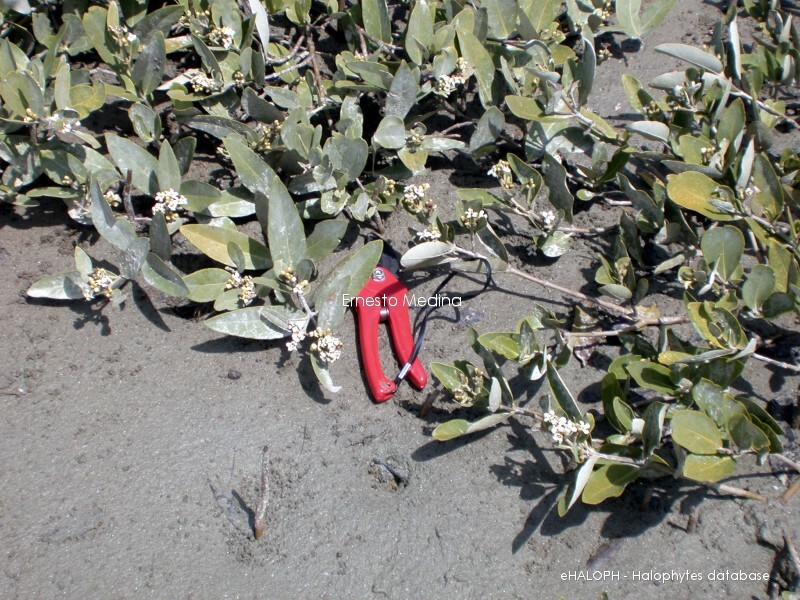 Report for Avicennia germinans (L.) L.
Galeta Point, Panama (9∘24′01′′N, 79∘51′51′′W). Port Fourchon and Leeville, Louisiana (USA; 298100000 N and 908140000 W). Miscellaneous notes Is the accepted name for the synonym Avicennia africana P.Beauv. There are many papers on this species, especially on salt secretion.